Forget Me Not Lodge has got to be one of the most aptly named holiday lets I've ever been to. Located just half-an-hour north of Newcastle, this family-friendly and pet-friendly, two bedroomed luxury lodge with a hot tub, is a perfect place for a family staycation in Northumberland and after our recent press trip there, one we won't be forgetting it in a hurry. Forget-Me-Not Lodge has been beautifully designed with luxury in mind with some lovely finishing touches by the owners. Inside the property, we found a spacious open plan living/dining area and kitchen. The kitchen is so well stocked for a self-catering property. As well as crockery, cutlery (even a pizza cutter) pots and pans there are also lots of condiments, refreshments and also cleaning materials are available to use. The owners Tracey & Michelle say the lodge is their pride and joy so it's great that they provide so much stuff to help you keep it that way. The main master bedroom (king) has built-in storage and has an en-suite WC and shower facilities. The second bedroom (king) has its own dresser table and sufficient wardrobe space. Both bedrooms have their own flat screen TV. 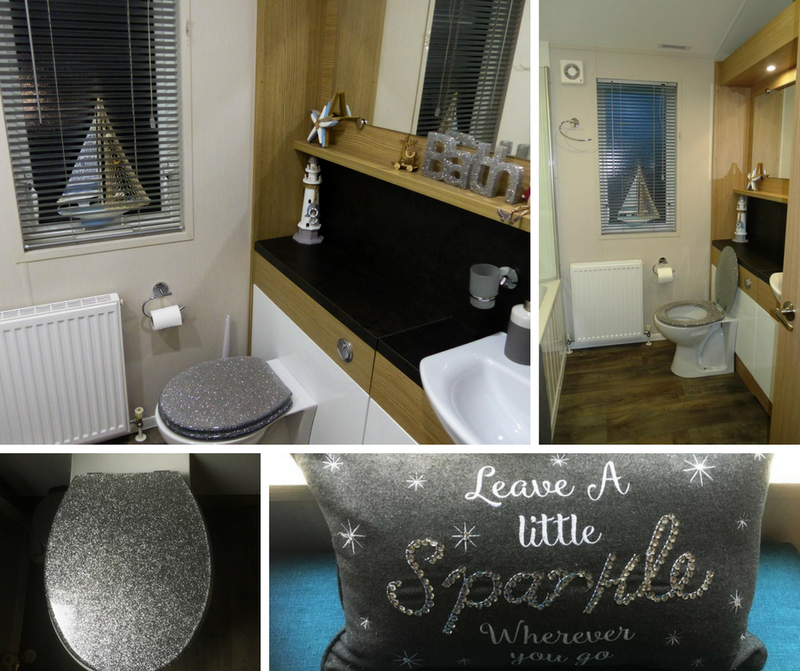 A family size bathroom is located next to the second bedroom with the sparkliest toilet seat you have ever seen! When entering the lodge you will find a boot room with additional storage for outdoor clothing - in January this was a great addition to the property. This area would also be a great place to store doggy things. The lodge is dog-friendly but we couldn't actually tell if a dog had ever stayed there. And although it was January we were never cold. This lodge is double glazed, has a fireplace and full central heating, making it an ideal place for a short break all year round. Externally there is hot tub big enough for 6 people with outdoor seating overlooking the sunken hot tub, which is at the rear of the property. It is not overlooked and it also has panoramic views of the countryside. Also at the rear and to the side is plenty of outdoor furniture. At the front of the lodge, there is also an additional seating area. We made a lot of use of the hot tub but I think it would be a lovely place to be in summer when your living area is even bigger with all of the outdoor seating areas to enjoy the sun at any time of day. Situated close to the market towns of Morpeth and Alnwick and the coastal towns of Warkworth and Amble, the lodge is also in between the beautiful Northumberland Coast, designated as an Area of Outstanding Natural Beauty, and the stunning Northumberland National Park. Located in Felmoor Park the lodge is one of five managed by Acorn Leisure Holidays who very kindly invited the whole family to review Forget Me Not Lodge last month. 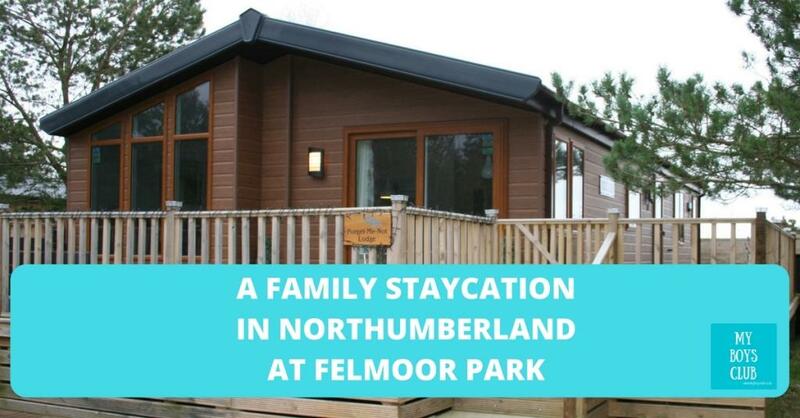 The lodges and holiday home are situated on the beautiful Felmoor Holiday Park in the heart of Northumberland. Felmoor Park sits on 50 acres of land that consists of a small woodland walk and a picturesque lake. We had a lovely walk around the lake and through the woodland and there was plenty of grassy areas for a game of football too. The clubhouse on site has its own steam room and sauna. The cafe within the clubhouse serves snacks from pizza’s, burgers, scampi to toasted sandwiches or panini's and has a range of speciality coffees, however on our visit we didn't use these facilities. It was easy to find straight off the A1 and the fourth lodge on the right as you enter Felmoor Park is Forget-Me-Not Lodge - located right next to Barneys Lodge, also managed by Acor Leisure Holidays. It also has 2 bedrooms and sleeps 4 people comfortable, and the two lodges can be hired together for larger groups subject to availability. At Forget-Me-Not Lodge there is a parking space out right outside. So on our arrival, we parked up followed the very clear joining instructions that we had received by email to gain entry and we were in. A welcome pack was there ready and waiting for us with tea and coffee, biscuits, popcorn, crisps, chocolate, a selection of pic n mix sweets and a bottle of Prosecco. There really was something for the whole family. Anyway, after a quick settling-in period, the boys took no time at all in getting ready for their first (of many) dips in the hot tub. Ample towels and robes are provided. Then as the boys dried off we cooked a pizza that we had brought with us and relaxed with a glass of wine before retiring to bed. The boys shared one room, reporting that the bed was really comfy. Ours was too. They also enjoyed lying in bed watching TV - they don't have TVs in their rooms at home. Then we had a family breakfast before once again heading for the hot tub. There are lots of attractions and place to go nearby but the boys decided the lodge was so lovely that they wanted to spend the entire day there. We'd do some exploring in the countryside on the way home. So after sausage (veggie and non-veggie) muffins, it was more hot tub and games before settling down with the popcorn to watch a film. There are a lot of lodges on the Felmoor site but you don't feel cramped or overlooked at all. When we were invited to go and stay I looked at the website and read some reviews, after which I was really looking forward to it. But I have to say I was still amazed when we actually got there. First of all its huge. Two double bedrooms, dining area, spacious lounge, kitchen with dishwasher, fridge, freezer, and a washer dryer too. There's an ensuite shower room and a family bathroom and a boot room entrance too. Then outside ample decking, lots of outdoor seating and a hot tub, plenty big enough for four adults. Secondly, it's beautifully decorated and styled. 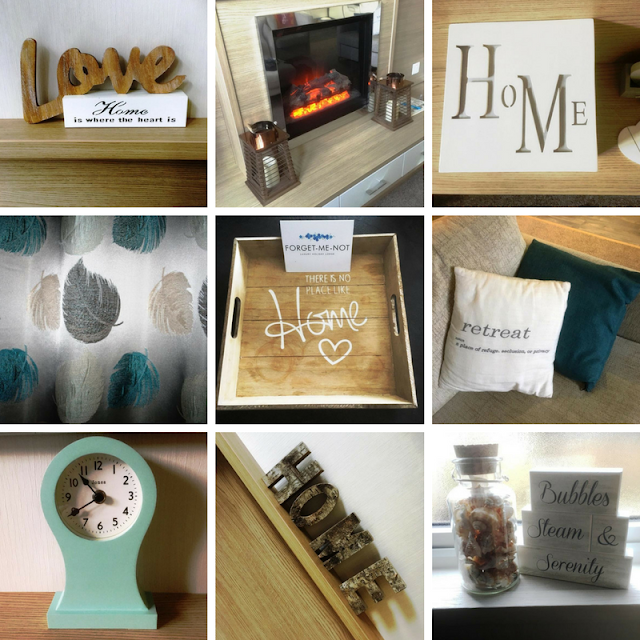 Earthy tones of blues and Browns, a natural feel, cushions, rugs, blankets comfy seating - all very hygge - and heating. I've not stayed in a lodge in winter before but with lots of central heating and a fire, it was very warm and cosy in the evening. The 40-degree hot tub took any chills away too. Thirdly, it was so relaxing. We were only 30 mins from home but felt a million miles away. It was a two-night break but felt like a week. As well as the hot tub the lodge has a selection of games for the family to play, making it a great place to spend a bit of quality family time. So relaxing and chilled. I would definitely come again. It really was a home from home. We read the Guest Book before we left and it seems that we are not the only ones to have had a lovely time at Forget-Me-Not Lodge. Acorn Leisure Holidays are a family run business with a small collection of hand-picked luxury lodges and holiday homes on Felmoor Park, Northumberland. Established in 2015, they provide a 5* service in providing you with an affordable but luxury break away. 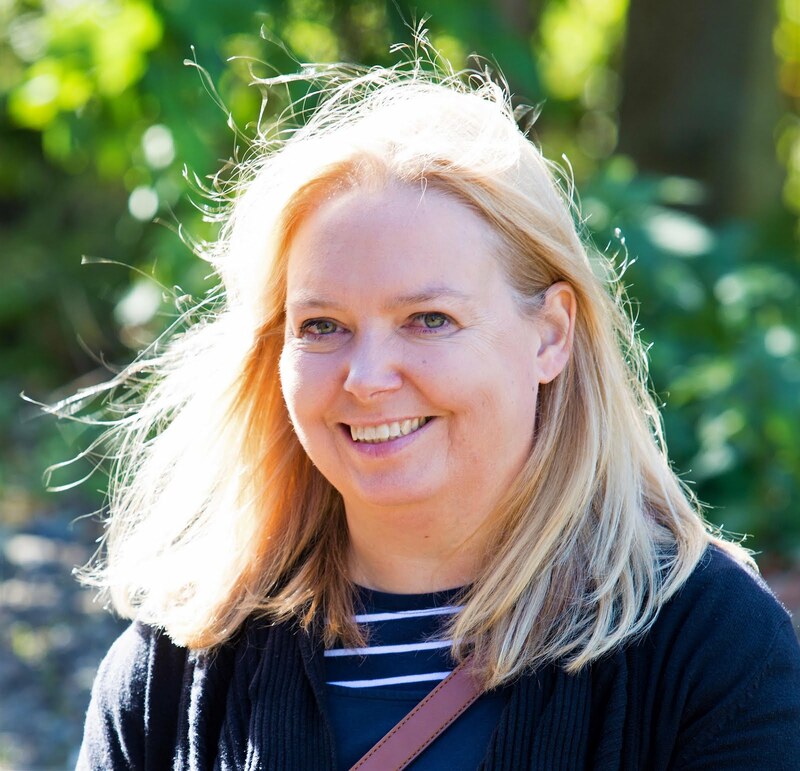 I first met Mel, one of the team when we worked together before she started this venture, and I am so impressed with what they have to offer. Woody’s Retreat is a lovely two bedroom property located in the heart of Northumberland at the family-run Felmoor Holiday Park. The outdoor, deluxe sunken hot tub provides the perfect place to watch the sunset on those lazy summer evenings. The luxurious Stag Lodge is the latest addition to the family at Felmoor Holiday Park in Northumberland. 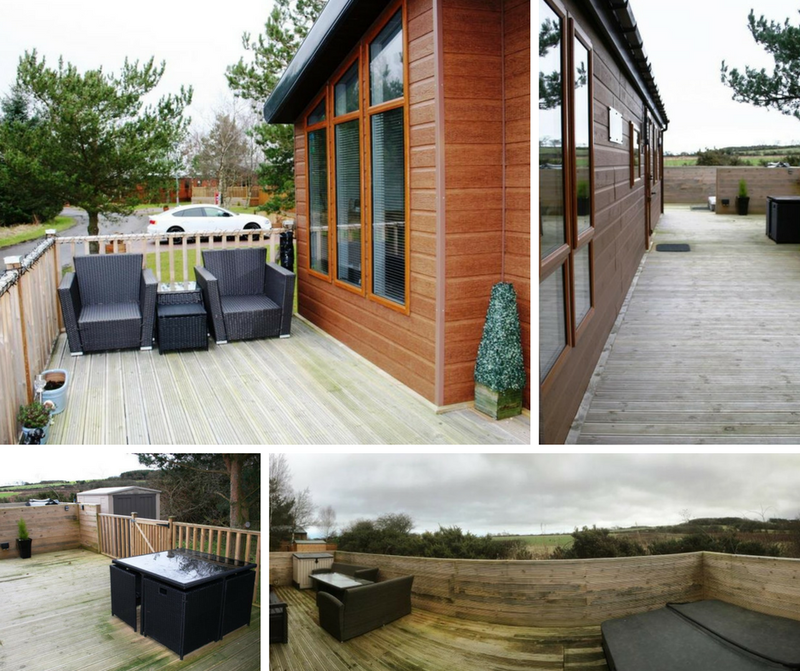 Boasting two spacious bedrooms, a sunken outdoor hot tub that accommodates up to 6 with ease and access to many of Northumberland’s local attractions, Stag Lodge is perfect for all the family, all year round! Samantha from North East Family Fun and her family recently reviewed this lodge read more about their stay here. 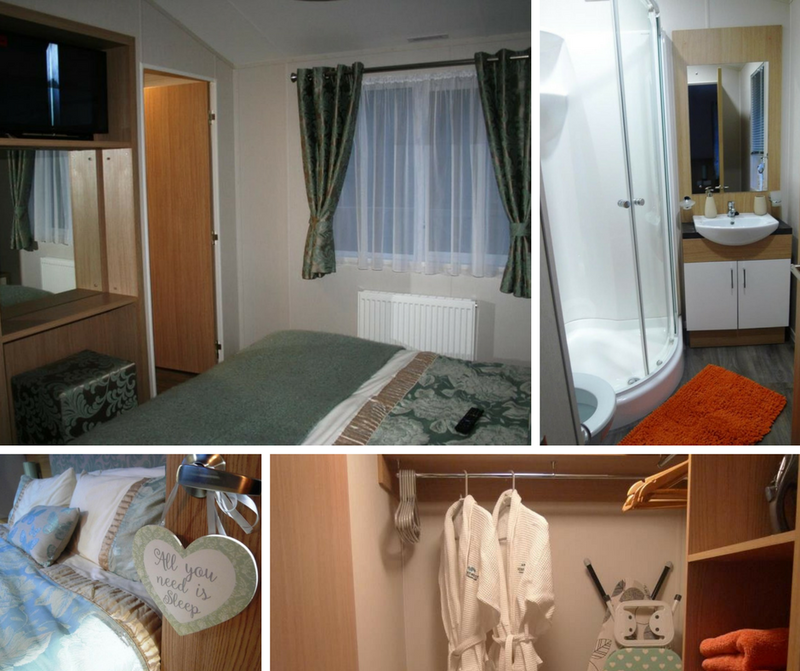 Forget-Me-Not Lodge is a beautiful lodge located in Felmoor Holiday Park, Northumberland. It’s located in a sunny aspect of the park, with a small woodland at the front of the property. Forget-Me-Not Lodge is a two bedroom property which comfortably sleeps 4 but does have a sofa bed so can accommodate up to 6 people. Full details, availability and special offers are available on the Acorn Leisure Holidays website. Northumberland really does have something to offer everyone with more castle than any other English County, including Alnwick Castle where the first Harry Potter movie was filmed. It has miles of beautiful coastline and sand dunes, a national park and many, many lovely countryside and coastal walks. After checking out on Sunday we headed north to Barter Books in Alnwick, then to the coast where we had a walk along Embleton Bay in Low Newton and did some beach art before heading to The Masons Arms in Warkworth for food before finally heading home on the Sunday evening. It was a fabulous lodge, in a fabulous location which gave the whole family a fabulous short break. Where would you go for a short break? 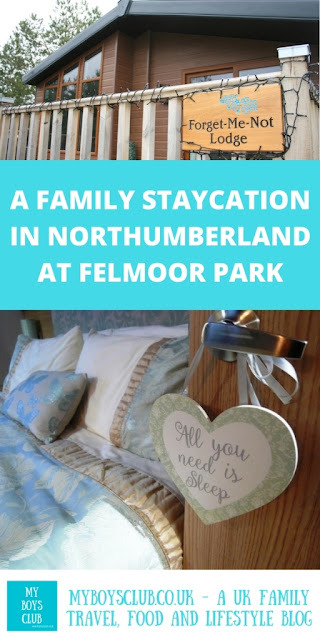 Disclosure: We were invited as a family for a complimentary two-night stay at Forget-Me-Not Lodge in Northumberland in return for an honest review. Wow, it looks fantastic. We are looking for somewhere like this for a Northumberland mini break this year and these are perfect. That area is so well located with so many things to do. I especially like the hot tub and the welcome pack. It seems like the owners put so much thought into making it special and set it apart. I’ll add this to our list! Appreciating the hard work you put into yor website and in depth information you provide. Great post. I used to be checking constantly this bllog and I'm inspired! I care for ssuch info much. I used to be looking for this particular info for a long time.